Build custom web apps that interact with CRM. Using Catalyst Web SDKs, develop Lite apps for users in different roles in an organization. Feel free to write code in the language of your choice, with the help of our rich client libraries. The right apps are Lite apps. Not every user needs access to the core CRM account. Build web applications that are tailored to specific roles, and beautifully work in sync with Zoho CRM. Lite apps help untangle even the most complex business processes. Work can be precisely outlined according to each user. To adapt to different users, the core CRM doesn't have to go under the knife every time. Lite apps help gather the purest form of data, across the organization. As users easily update specific activities and tasks, data pertaining to different modules accumulates without slipping through the cracks. This helps in generating flawless reports. For a large and steadily expanding organization, building Lite apps reduces the burden on CRM. User licenses can be bought only for those who would need complete access, and Lite apps would suit the rest. Building and distributing Lite apps is easy. 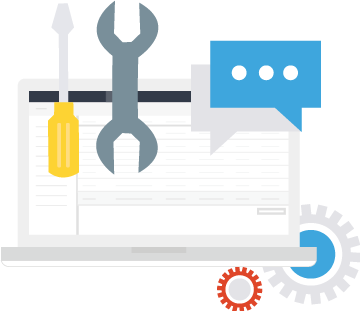 Our Web SDKs handle technical responsibilities like scaffolding, authentication, API wrapping, version upgrades, and data modeling. Once these tedious tasks are done, feel free to focus on developing the UI components of the custom app to suit your needs. We have help guides and other resources to help you get started. For further direction, our engineering team is always at hand, and we can devise solutions for your business together.